We know that many people take coloring seriously, using it as a way to escape the stress of daily life. 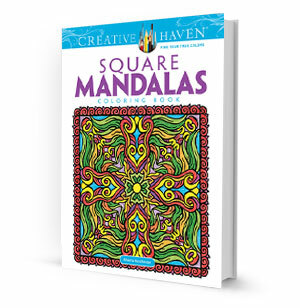 Specifically designed for more experienced colorists, this exciting new series presents highly detailed illustrations based on today's most popular and sophisticated themes, from mandalas and mosaics to flowers and animals! Each book includes 31 designs to color printed on one side only. The pages are perforated for easy removal and display and are printed on premium quality paper.